Four more weeks passed. At 12 weeks there was more spotting, cramping. I went and saw my cousin's newborn at her house. I remember the cramping being more intense that night and commenting on it but feeling that everything must be fine. I called the midwife, feeling badly that I was bugging her for nothing. She told me to take a warm bath and some calcium and let her know if that stopped the cramps. It didn't. Another ultrasound was scheduled. I looked forward to seeing how our baby had grown, blissfully unaware that he hadn't. When the scan showed our baby was measuring only 2 days bigger than last time at 8 weeks, 3 days (when it should have been measuring 12 weeks, 4 days), I knew. I knew he was gone. There was no fluttery heartbeat this time, no indication of life. The moment I knew my first baby was dead was almost not real, but at the same time also very real. The Dr. who performed the ultrasound wouldn't just tell me and that made me angry. He knew but he wouldn't tell us. What he did tell us was he hoped everything would be okay. How he thought anything could be okay I will never understand. In the car, that's how we found out for certain, with my midwife on the phone. We cried and cried and grabbed onto each other feeling the grief full on. Then the numbness set in, the reality, the phone calls that had to be made that were too painful for me to make. I couldn't say it out loud to anyone yet. I couldn't admit it. I had my husband do it. He broke down on the phone. My baby, the baby that was still inside me, no longer had a tiny beating heart. It was still. I cried every night for weeks, clinging to my husband, his arms always around me. We stayed at my parent's, the place we drove to after the ultrasound, needing to drive somewhere but unable to go home. I couldn't go home yet. The last time I was there, as far as I knew I was having a baby. The books, the stretch mark cream, all those reminders laying around, would torture me. There was no way I could face them. Then there was the waiting. When would my dead baby leave my body? The midwife couldn't tell me. After 6 hours of the most horrible pain I had ever experienced, like a vice grip around my uterus squeezing and so little time between each squeeze, 6 hours of unrelenting pain and still nothing. I remember feeling so, I can't even describe it, like I wanted to come out of my body, telling me husband to make it stop, make it stop, make it stop. We were up all night. I got about an hours worth of sleep when the alarm went off. My mind said "need to go to work" and so I did. It seems insane now, but I needed something that made sense because my world was falling apart. They graciously sent me home though, with a week's worth of bereavement pay. I'll never forget that kindness. The next night I had more contractions but still no resolution. I was scared. I knew that I needed to go back to work, be part of the world again instead of living in this limbo. So I decided something I deeply regret now. I went to see a doctor. The doctor called me irresponsible, said I needed a D&C, that awful surgery where they rip your baby from you and the last thing I wanted. He refused to call my contractions what they were, just cramps he insisted. He proclaimed there was no way I could handle a natural or medically induced miscarriage because I cried when he roughly examined me, sore from the 2 days of labor. I cried and cried after leaving that horrible man. I wanted to die rather than have them rip my baby from me. The very thought of it sickened me. But I was so scared and felt so low and incompetent, completely demoralized that I went along with it. It was a horrible experience but I got through it and thought at least that my life could start again, the healing begin, but I was so very wrong. I ended up needing 2 surgeries. The miscarriage went on for 2 months. It was a living hell. But God provided us with a beautiful miracle in between the 2 surgeries. 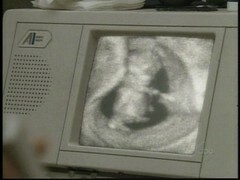 My baby, my teeny tiny, not even as big as a penny baby, did come out naturally and we saw him and got to bury him. I still don't know how this happened but what a rainbow! What a merciful and loving God to give me the desires of my heart in this raging storm. The worst part of the surgery, the part I abhorred, hadn't even occurred. My baby was whole, intact and, maybe not in the normal way, but I did "give birth" to this baby. Losing a child I never got to meet still hurts 6 years later. Another baby can never replace the one you lost. I've since had 2 healthy babies but my heart still misses my first. It always will. I shared the entire miscarriage story in 3 parts on my blog as well as the story of how motherhood came to me, of which part of this post was edited from. You can also read my husband's experience of our miscarriage as well as my mom's which were part of a larger Pregnancy and Infant Loss Remembrance Series I ran on my blog last year. Julia worked in Advertising and Marketing before her daughter came along but now enjoys staying home with her 3-year-old daughter and infant son. 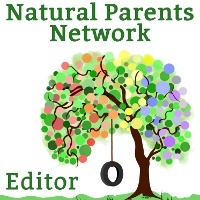 She blogs at A Little Bit of All of It about those things she is passionate about like cloth diapering, breastfeeding (past infancy), bedsharing/cosleeping, baby-led solids, natural childbirth, attachment parenting, natural living, Christianity, miscarriage awareness and babywearing. You can find her on Facebook, Twitter and Pinterest as well. What a touching post, I appreciate how hard this must have been to write. Thank you for sharing! I don't like reliving it but sharing it is important to me, too. And it is special to remember at times, too, that child. Beautiful post, Julia. Thank you for sharing. Hugs! Thinking of you today, too. I know you'll be lighting your candle with me. Thank you for sharing... it will be a year in December since my 4th m/c and we are currently waiting to see what will come. I want more babies so badly, but the emotional pain of a loss is almost too much at times. I can't imagine how heartbreaking 4 losses would be. :( I had to wait a long while after my miscarriage before I was emotionally ready to move on as well.